What would you do if your dad was Elmore Leonard? Write imagist poetry, political intrigues, short stories about country curates or stifled suburban wives and their minimalist marriages? The one thing I’ll bet you wouldn’t do is set yourself up as a purveyor of lowlife, urban thrillers. Pa’s always going to have the drop on you. 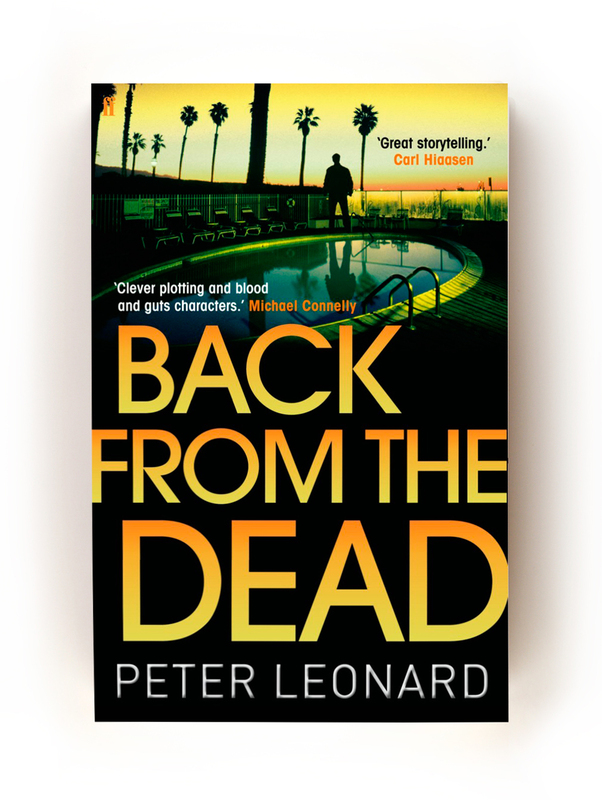 But here comes Back from the Dead, Peter Leonard’s fifth thriller – and just as lowlife and urban as its predecessors. Just as teeth- clenchingly, chest-clutchingly, unremittingly exciting, too. Don’t pick the book up if you have any intention of putting it down before you’ve got to the end. And don’t let the fact that Back from the Dead is the sequel last year’s Voices of the Dead put you off starting your Leonard Jr studies here. Though Back... resolves both the core story and many sub-plots of Voices..., it contrives, too, to be satisfyingly nutritious in and of itself. That’s because Leonard’s heroes and villains exist almost solely in terms of dialogue and action. To know them is to see what they say and do under pressure – which is most of the time. Take Harry Levin: until what Leonard’s characters would call a couple months ago he was a scrap metal dealer settling into a nicely numbed-out middle age in early-70s Detroit. Then his daughter was killed by a car driven by a drunken German diplomat who turned out to be Ernst Hess, a one-time Nazi looter and killer and the man who sent Harry’s parents to their death at Dachau. Leonard has managed to transcend his father’s sometimes glib narratives and create a work of startling resonance and scope. This is no tawdry exploitation of history. This is an intelligent and trenchant imagining of the psychopathology of an ideology and how it translates into a peace-time world. It is also a tremendously gripping and relentless crime novel, replete with lashings of humour, great characters, horrible characters, and moments of genuine pathos.